We can imagine you’ve just bought your new trendy white sneakers that you were lusting over for months. You got home, opened the box and grabbed your latest pair of skinny leg jeans and left the house feeling casual but oh so stylish. After having lunch with friends and cruising around the shops, you returned home to discover that your white beauties are not so white anymore. You have managed to get most of the day splattered all over them and half the world’s turf embedded in the soles. The echoes of despair can be heard throughout your unit block. So how can you protect your prized item? We’ve got your tips and tricks for styling and keeping your sneakers in pristine, and most importantly white, condition. Always practice safe sneakers. And as the saying goes, prevention is better than cure. You’ll guarantee extra life by using a protector and ensure your leather doesn’t wear. Leather protector provides a shield that guards against stains and premature ageing. Most shoe stores also sell protector at the point of sale area so next time you’re in a store, pick one up or you could try Scotchgard for sneakers. If your sneakers are leather, then don’t forget to condition them at regular intervals so that the leather stays soft and crack resistant. 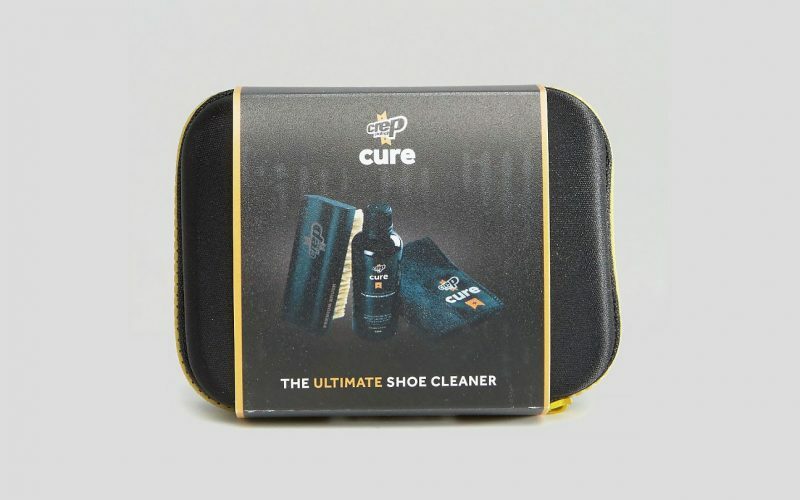 For all things “sneaker maintenance”, try Crep Protect CURE Premium Sneaker Cleaning Kit. It sounds obvious but to maintain your new shoe look; you have to keep them clean. A toothbrush and soft cloth are the vital tools needed to carry out a dirt intervention. A mild detergent and warm water is also an effective shoe cleaner. 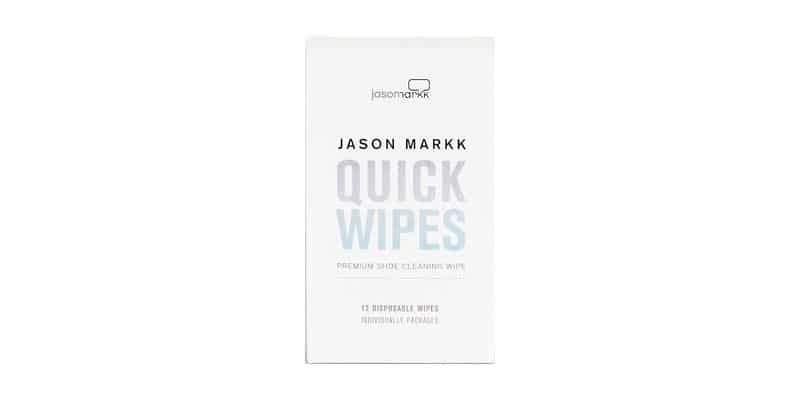 Carry a purse sized pack Jason Markk Shoe Care Quick Wipes for touch ups throughout the day. Yes, your shoes are your babies and they should be wiped down when they have, um, soiled themselves. Always store your sneakers in a cool dark room. Think of it as ambience. They need to be nurtured and kept calm. Ever see yellow stained rubber? The main culprit is sunlight so try not to expose them to sunlight for extended periods. If you’re serious about storage, then invest in some shoe boxes. 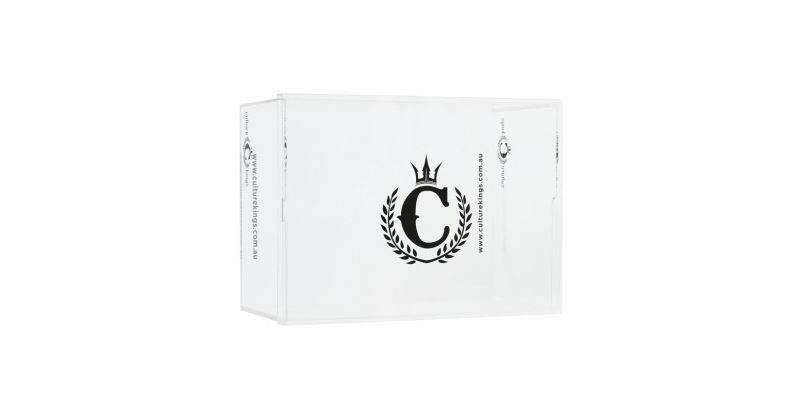 Try the Culture Kings Large Shoe Box Clear. They look great and provide ample room to store your shoes. Keep the silica packs and insert them into the area where you’re storing your shoes, this will help absorb any excess moisture.